Where to Buy, Lease, or Service a Maserati in Tampa and St Petersburg? Which Is the Best Maserati Dealer in Tampa and St Petersburg When You Want to Buy, Lease, or Get Service? You’re here because only the best will do. That much is obvious if you drive or are looking to drive a Maserati. A Maserati is more than a car. It’s a work of art that can deliver an unrivaled thrill ride. So whether you’re looking to buy, lease, or service a Maserati in Tampa or St Petersburg, only a dealership befitting the luxurious perfection of a Maserati will do. That’s Maserati of Tampa. 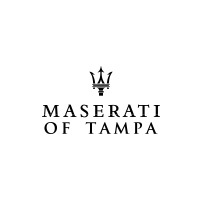 What makes Maserati of Tampa the best? Here are four reasons. At Maserati of Tampa, we draw on nearly 50 years of experience offering Maserati excellence. That means we’re the unrivaled experts at everything from the specifications of the different models, to getting the best rate on a lease or financing, to performing fast, dependable repairs and maintenance, and more. You don’t want whatever’s lying around. You want the ideal car for you. To find that, you need options. What model, year, trim, or color are you looking for? We have it in our unmatched Maserati selection. Forget about slow service experiences that are unreliable. At Maserati of Tampa, we’re renowned for being the highest volume service center around, meaning we have the space and staff necessary to get you back on the road fast. And thanks to the paramount expertise of our technicians, you’ll get repairs you can count on. There’s nothing that will start your thrill ride like scoring a great deal. That’s why we offer the best Maserati specials that you’ll find at any Tampa Maserati dealer. Our specials cover everything from Maserati vehicles to service, parts, accessories, and more. It’s time to see for yourself why we’re renowned for providing the best Maserati experience in Tampa and St Petersburg whether you’re looking to buy, lease, or acquire service. Visit Maserati of Tampa today, and see what true luxury looks like. Check out our selection of Maserati vehicles you can buy or lease in Tampa online, or call Maserati of Tampa at (813) 375-3660 today. 0 comment(s) so far on Where to Buy, Lease, or Service a Maserati in Tampa and St Petersburg?